A deposition is a question and answer session with the opposing attorney where you will be put under oath to testify about matters related to your case. The opposing attorney has the responsibility to learn all the facts and information about the case and this is one way they do so. This is their opportunity to evaluate what you say and how you say it to determine whether you will be a believable witness. Although it is a formal proceeding, it does not take place before a judge or in the courthouse. Obviously, you will be there as the deponent – the person answering questions about the case. At least three other people will be there: (1) an Attorney from Fite Law Group to see that your rights are protected; (2) the opposing attorney who will ask the questions and who is there to learn as much as possible to benefit his or her own client; (3) the court reporter, who will give you the oath and make a written recording of everything that is said on the record. Technically, the Defendant also has the right to attend the deposition, but this rarely happens. Show up and be on time. Dress neatly and carefully as you would for a business meeting, church or other important conservative function. Avoid flashy or uncomfortable clothing or jewelry. Limit visible piercings to a minimum, cover tattoos and wear a neat hairstyle. If you are not certain about what to wear, ask us. We have a small closet of clothing and shoes in common sizes for you to borrow for the deposition if you do not have anything of your own to wear. Be polite to everyone, but not overly friendly. Try to relax, but remain alert and pay attention to the questions being asked. If you feel like you are getting tired, ask to take a break. Listen carefully, Make sure you understand the question before you answer, answer the question that has been asked. Your deposition is limited to four hours under the Arizona rules. However, for relatively straightforward cases, a deposition typically lasts between 40 minutes and 1.5 hours. If you need further advice on how much time to allow, ask your attorney. Make sure you have enough time to not feel rushed. It is important that you take your time to listen and answer. Listen to the Question. Pay attention to the question that is asked and give a complete answer to that question, but don’t volunteer information or elaborate unnecessarily. Remember that the attorney asking questions is not there to help you, but to find out information that will help his or her client. Tell the Truth. Even if you think the answer to a question might harm your case, don’t be evasive. The facts will come out anyway and telling the truth will make you look better than an answer that hides or softens the facts. Remember that attorneys are trained to observe and evaluate truthfulness and credibility. Be direct and honest about harmful facts and the rest of what you have to say will be that much more believable. Don’t be afraid to admit that you talked to your attorney before the deposition! There is nothing wrong with discussing the case with your attorney and you shouldn’t feel uncomfortable admitting that you did. The opposing attorney is not allowed to ask you specifics about what you discussed with your attorney or our office. Don’t Guess. You are not expected to know the answer to every question. Don’t make guesses if you don’t know something you’ve been asked. For example, attorneys will often ask questions about distance or time that cannot be answered precisely. If you don’t know the exact answer, the best answer may be “I don’t know.” Even if the other attorney is annoyed that you don’t know the answer, that is okay. If you make a guess and you are wrong, that will be used against you later. If the attorney wants you to give an estimate, make it clear that you are doing so. Don’t Answer a Question that You Don’t Understand. Never try to guess what the opposing attorney means by a question. If you answer a question when you don’t fully understand it, the attorney will assume you understood the question. As a result, you may end up contradicting yourself. If you don’t understand a word or a phrase or the entire question, ask the attorney to rephrase the question or explain. Sometimes attorneys use legal language that is unfamiliar to most of us, you have a right to ask them to explain these words. Other times, the way a question is asked may be confusing. Don’t answer the question unless you know what is being asked. Ask the attorney to rephrase the question if you aren’t sure. Keep Calm and Trust Your Attorney. Although this is your case and you may feel very strongly about it, it is not your job to fight for yourself. The attorney may be asking you questions as if you were the suspicious party and a natural response to that would be to become angry and try to defend yourself. This is a mistake. As you defend yourself, you may find you’re elaborating on a question unnecessarily, answering unclear question or hiding harmful facts that will have to be admitted later. Or you may find yourself using words like “never” or “always” and making exaggerations. Angry, defensive behavior doesn’t make a good impression and may reveal a weakness that the opposing attorney will use to make you look bad in court if your case goes to trial (they have figured out how to push your buttons). Stay calm and focused. Listen carefully and answer politely. Leave it to your attorney to bring your side of the argument to light. When describing injuries, you may be tempted to try to win sympathy from the opposing attorney, but they wouldn’t be successful at their job if they were swayed by sympathy so easily. Complaining, especially if it comes with a whining tone to it, can cost you the attorney’s respect – and respect is the best you can hope for from an opposing attorney. You also don’t want to go to the other extreme and “tough it out” by not admitting to the pain and suffering you did experience. Answer the questions completely and honestly without leaving out anything that you can remember, but don’t dwell on or exaggerate any injury. Leave it to your attorney to develop those details of your case that will create sympathy for your side. Often we use friends or family members to testify on your behalf about your injuries at some other time as their natural concern for your pain will be seen as a positive quality about them. If you have given a recorded statement, make sure you look at a copy of it before your deposition. Before the deposition, go over the facts of your case. Look at your discovery responses and disclosure statement that have already been prepared. Figure out which facts you are certain about and which ones are not so clear. Check to see that the facts don’t contradict each other. If the facts don’t seem to fit together, discuss this with us. Once you are clear about the facts, write them down and review them before the deposition. Your memory will only fade each day, so you may want to have this available if the case goes to arbitration or trial. Remember that you will hurt your case if you testify different at trial than you did at your deposition. However, don’t become obsessed with getting the facts straight or try to memorize answers to questions you think may be asked. A rehearsed answer will do as much to damage your credibility as hiding damaging facts. Always answer in your own words and not using the words the law firm may have used in responding to written questions. However, if you notice that something about the way the firm responded to written questions is wrong, tell us right away so that we may correct it before your deposition. 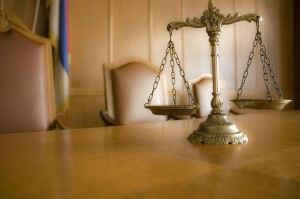 In the State of Arizona, an Attorney may only object to the form and foundation of a question. If your attorney makes an objection to a question, you may still need to answer, but the objection itself can tell you what is wrong with the question. A Form objection is typically used when there is something wrong with the question itself. Perhaps it assumes facts that are not true or asks two questions at once. Think about what might be tricky about the question before you answer. A Foundation objection is typically made when you might not know the answer to a question. If, for example, the attorney asks you what color the light was for traffic in a different direction or what someone meant by something they said your attorney would make an objection because the answer is probably not something you would know. If you feel tired or have trouble paying attention fully during the deposition, take a break. Opposing attorneys have varying deposition styles, but they typically fall into one of three categories: (1) The nice guy: he or she seems friendly and open and makes you feel comfortable. This method may work to get you to overshare or answer more than just the question asked; (2) The jerk: This attorney may ask rapid-fire questions to try and get you to rush to answer or may act openly hostile. He may say perfectly benign things in a really terrible tone because the transcript doesn’t pick up tones. This method may work to push your buttons or get you to answer questions you don’t understand; (3) The lifer: This attorney seems bored. He or she is there to ask the list of questions he/she must ask to satisfy the insurance carrier. You may be inclined to try to advocate for yourself or evoke sympathy from these attorneys. Just stick to the rules above in all cases and you will be fine. Do NOT bring any documents with you to the deposition unless you have been specifically asked to do so by your attorney! Call us if you have any questions about the deposition before your prep session. Otherwise, come prepared to watch a 20 minute video and discuss your case and any anxieties you may have with your attorney.